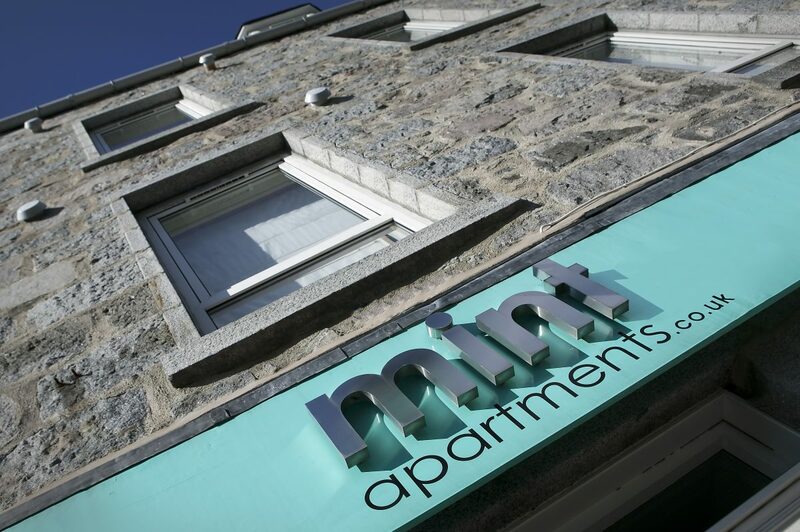 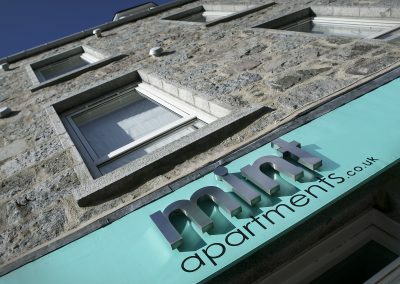 Occupying two blocks on Holburn Street, Mint Apartments exclusively own all the apartments. 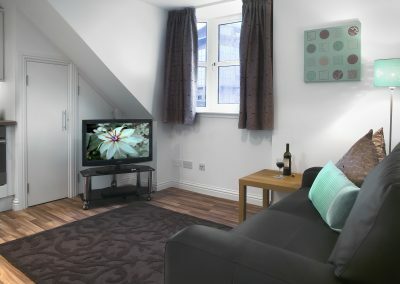 We are not a hotel, we pride ourselves on peaceful, long term stays. 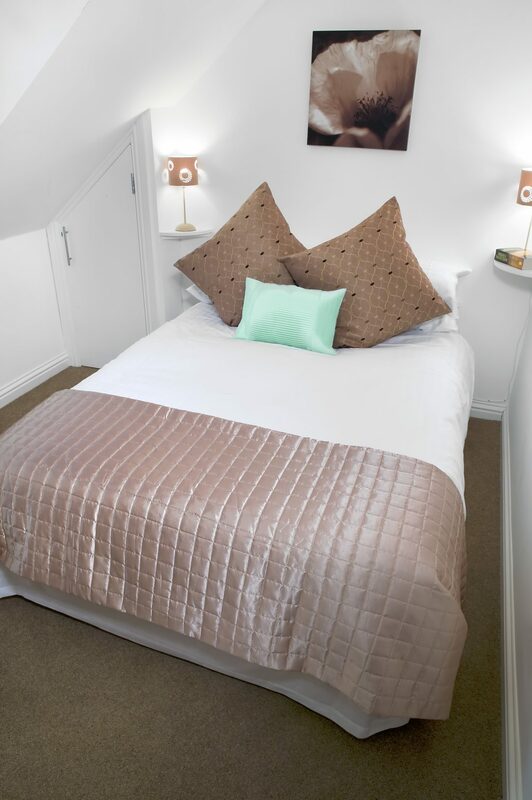 We do not do weekend Stag or Hen party bookings. 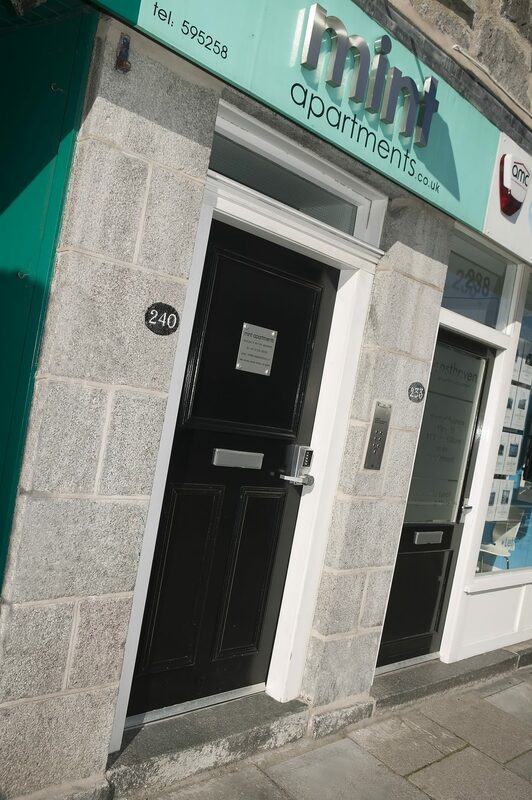 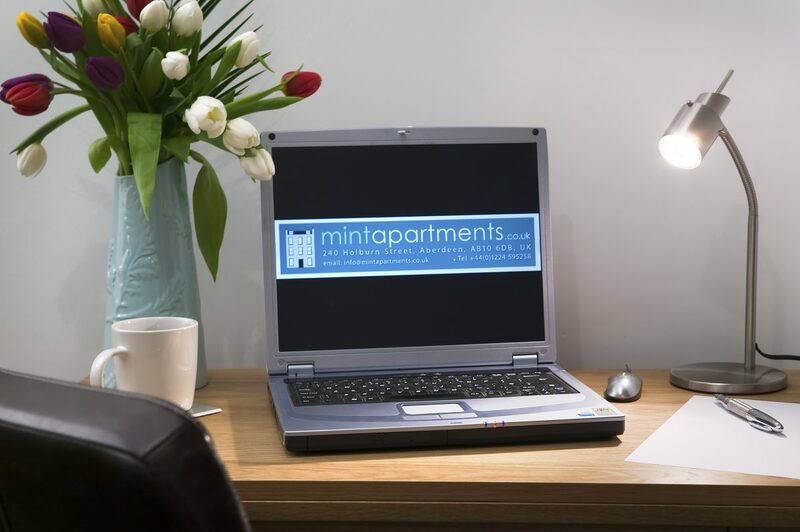 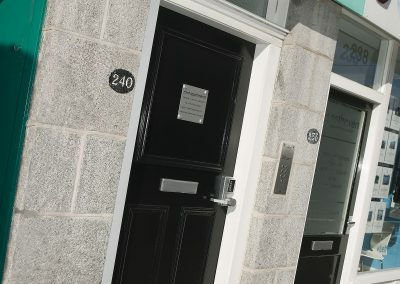 All Apartments are self-contained with no shared facilities, your own front door with peephole and a secure door entry system. 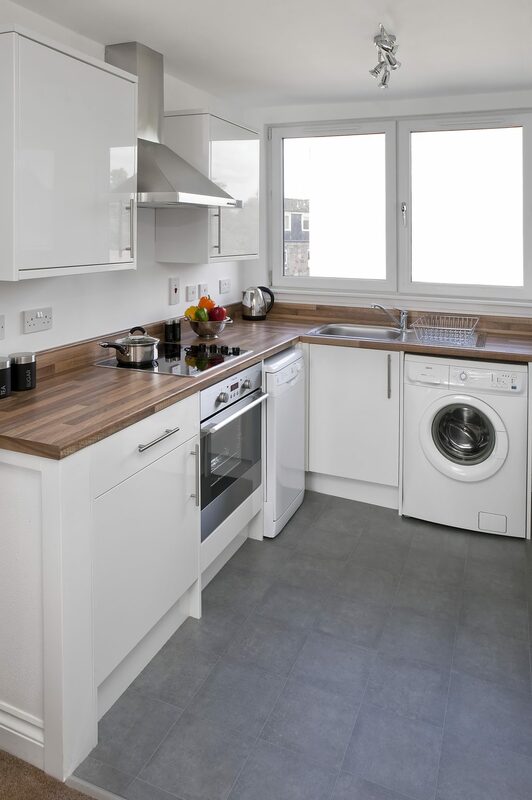 Gas Central Heating and hot water is independently controlled by the resident. 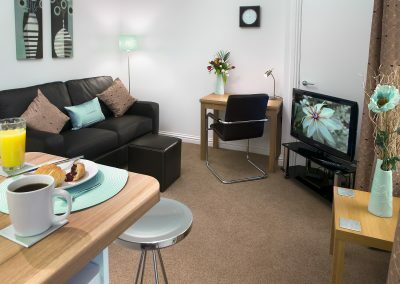 The Lounge– This has a 32” TV, sofa, coffee table and work/dining table. 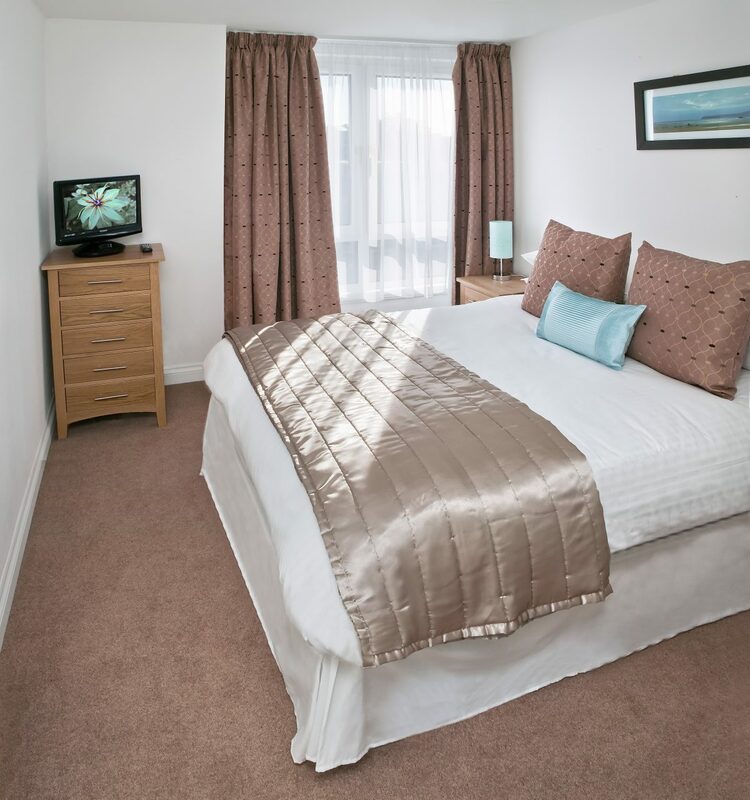 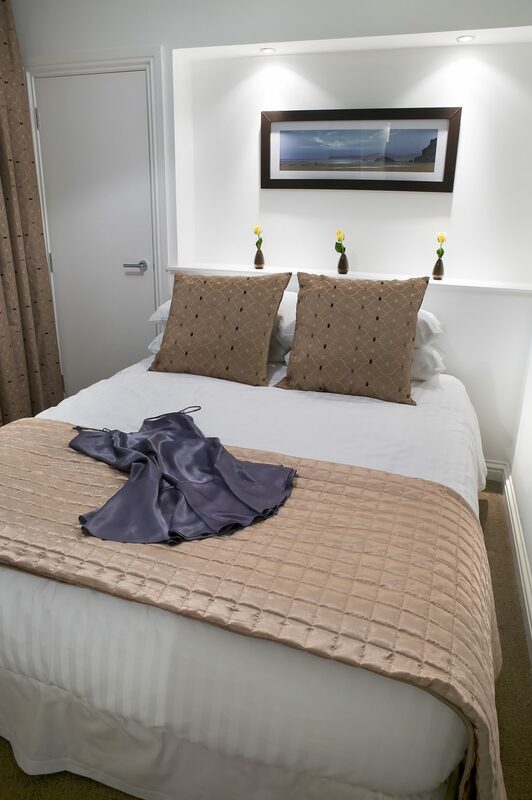 The Bedroom/s – All flats have a separate bedroom (no studio apartments). 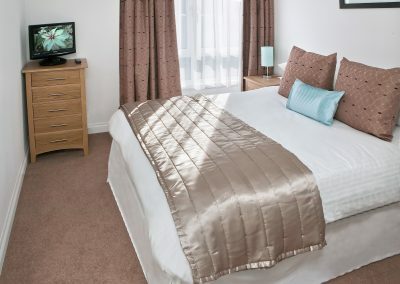 The beds have good quality mattresses and the curtains have back-out linings. 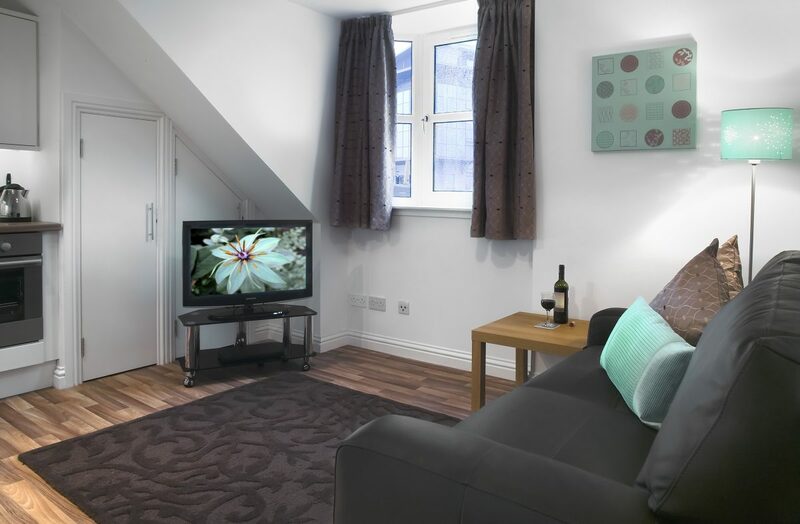 There is a TV and ample wardrobe & storage space. 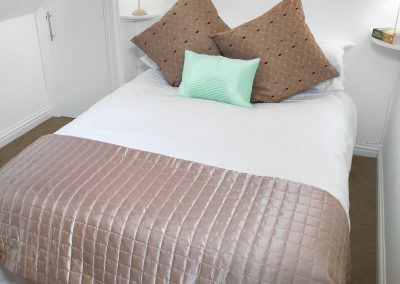 Bed linen and bedding is supplied. 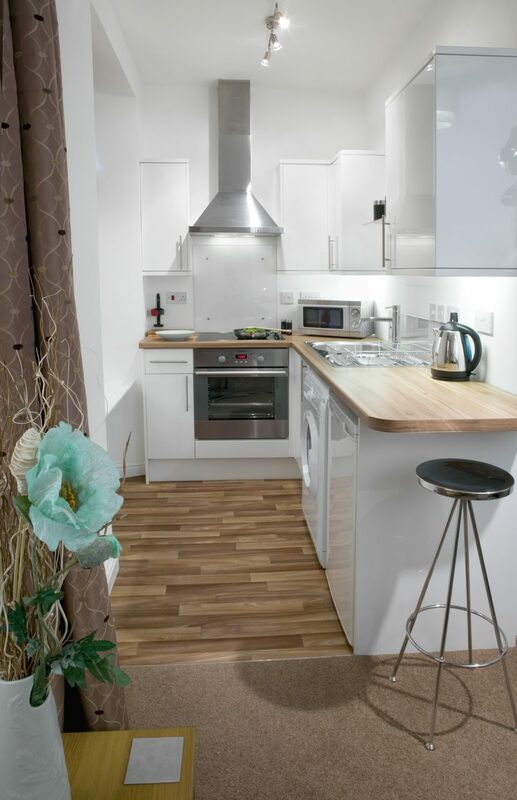 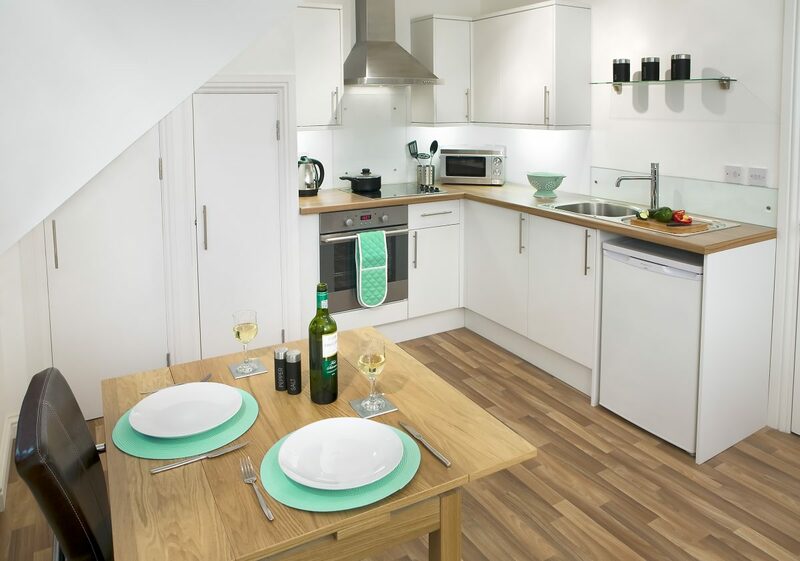 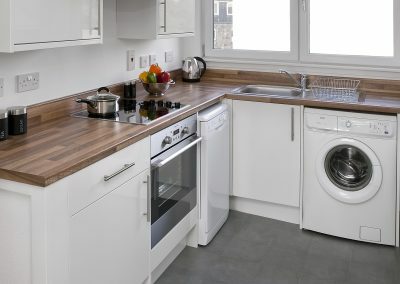 The Kitchen – All fitted with a washing machine and an iron and ironing board are supplied. 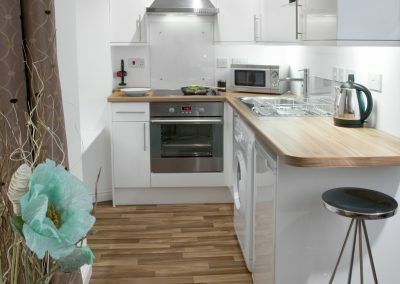 There is a fridge with freezer compartment, oven and electric hob, microwave, kettle, toaster and an adequate selection of pots, utensils and crockery. 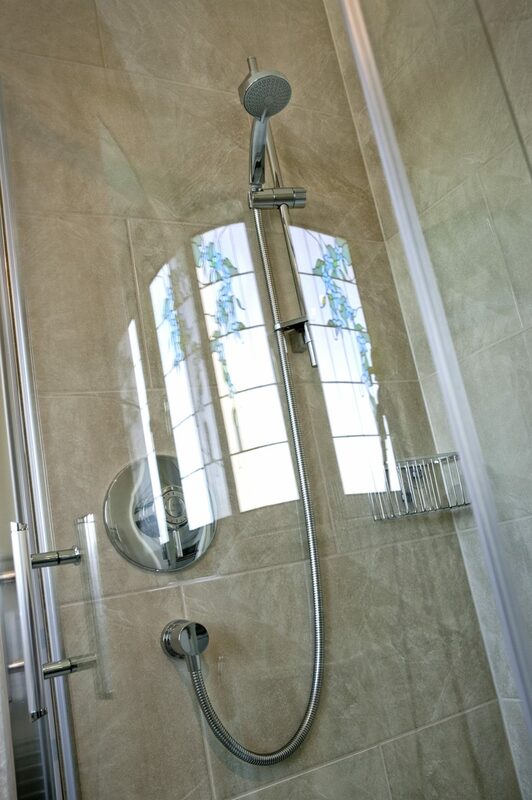 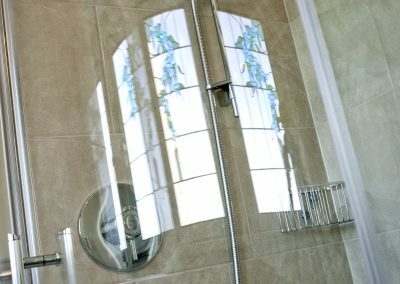 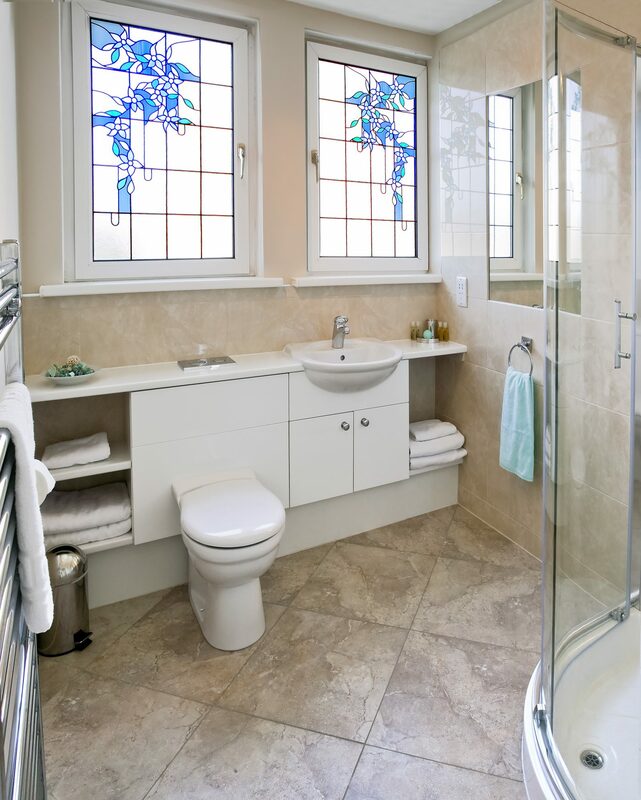 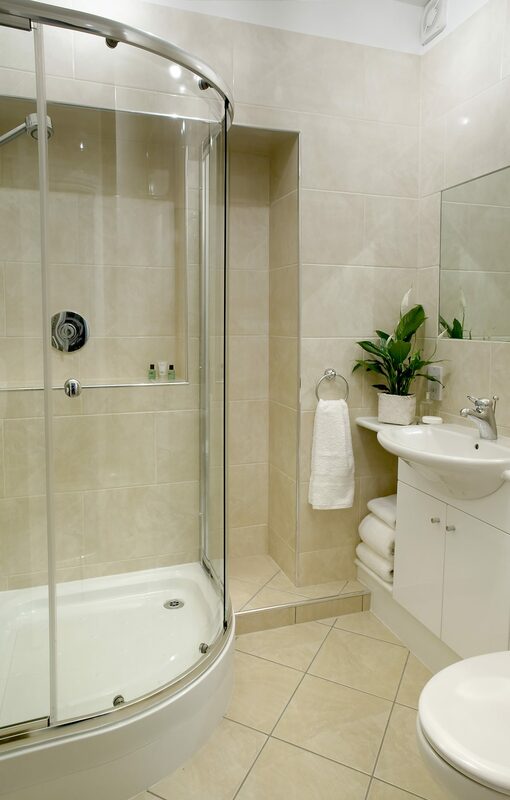 The Shower Room – Beautifully tiled with good showers. 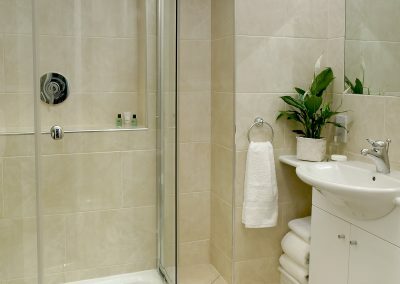 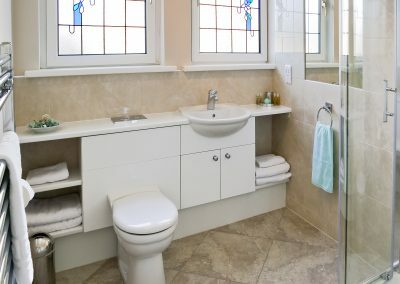 These shower rooms also have plenty storage, large mirrors and have towels, toilet paper and hand soap supplied. 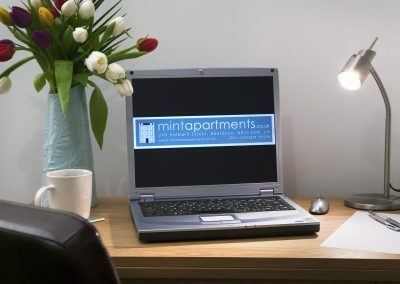 There is free wifi accessible throughout the whole building. 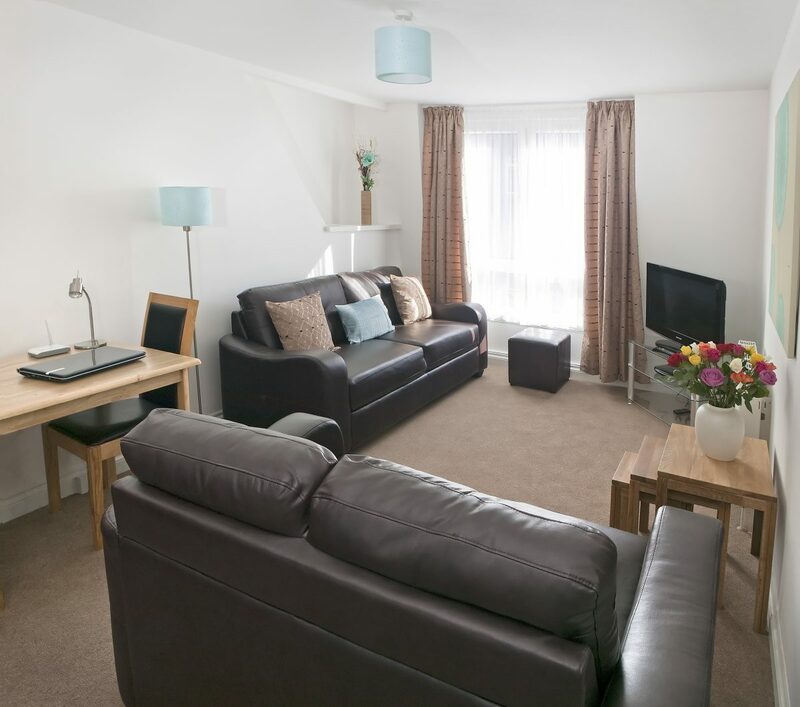 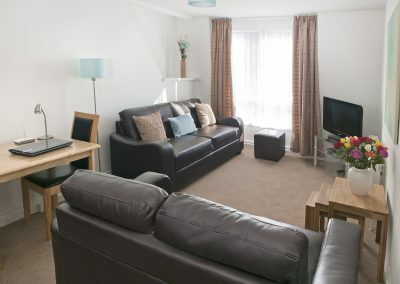 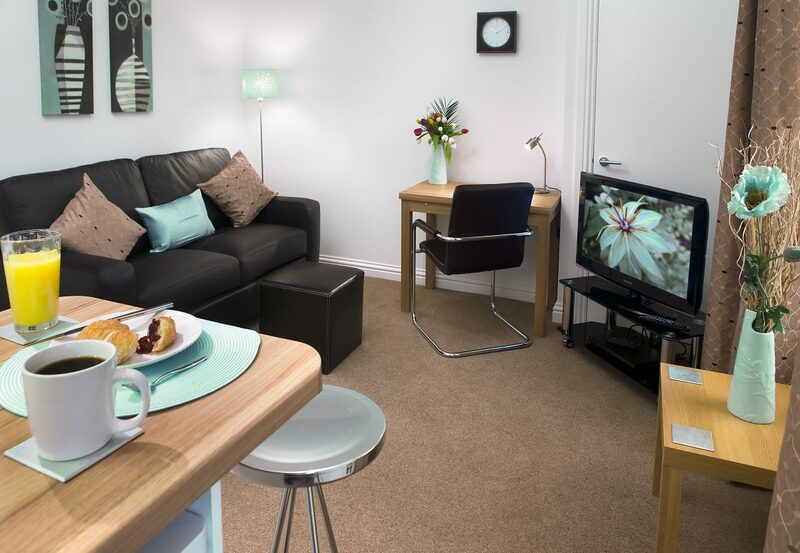 Communal Areas – These are well presented, secure and cleaned regularly.